2013 Archives - Clarksville Sports Network - Clarksville Tennessee's most trusted source for sports, including Austin Peay State University. Cape Girardeau, Mo – The Belmont women’s basketball dug in its collective heels and pulled out a gutsy win, thwarting a late rally on the road Tuesday. The Bruins (4-11, 1-1 OVC) defeated Southeast Missouri State (4-10, 0-1 OVC), 81-74, snapping a seven-game skid. After a slow offensive start by both teams, the Bruins were able to get on the board behind a put back jumper by junior Jordyn Luffman (Lawrenceburg, Tenn.). Both teams worked to find an offensive rhythm and continued to push as they traded baskets early. A triple from the top of the arc by junior Torie Vaught (Maryville, Tenn.) put BU up by one, 10-9 with 12:23 on the clock. Nashville, TN – On a night where the Commodores couldn’t hit the broad side of a barn, Vanderbilt still had a chance to win this game over Saint Louis. Jordair Jett scored 17 points to spark the Saint Louis team and lead them to their sixth straight victory over Vanderbilt 57-49. Saint Louis scored 12 straight points to take the biggest lead of the game, 53-44, on two Grandy Glaze free throws with just over 1:06 left. 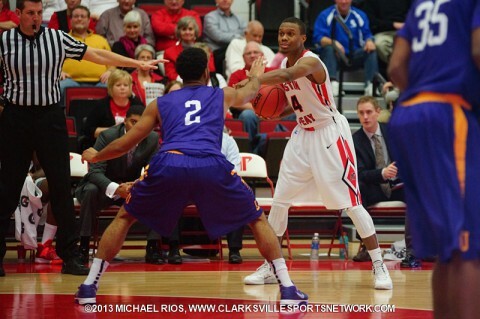 Clarksville, TN – Senior guard Travis Betran scored 24 points, including six three pointers, to lead Austin Peay State University to a 93-57 victory against Dalton State, Monday night, in non-conference basketball action played in Dave Aaron Arena. Austin Peay’s Travis Betran score 24 Monday night against Dalton State. Knoxville, TN – Playing one of the nation’s top defensive teams didn’t slow down Tennessee on Monday night. The Vols posted a dominating 87-52 victory over Virginia. Tennessee improved to 8-4 overall, Virginia is now 9-4 as the calendar turns to 2014. The win by +35 was the largest margin of victory in the Cuonzo Martin era, besting a 31-point win over The Citadel (12/29/11) in his first season. It was UT’s largest win in a game since a 39-point win over East Carolina, 105-66 on Nov 20th, 2009. Knoxville, TN – After helping #5/5 Tennessee to a 110-42 victory over Lipscomb on Sunday, Lady Vol Mercedes Russell was named the SEC Women’s Basketball Freshman of the Week on Monday. Russell, a 6-foot-6 center from Springfield, Ore., scored 12 points and was one of six Lady Vols in double figures vs. Lipscomb. She also pulled down seven rebounds, blocked five shots and recorded a pair of assists in 19 minutes of duty as the Lady Vols got back on the winning track following a six-point road setback at Stanford on Dec. 21st. Oxford, Miss – Sophomore Jennifer Nwokocha recorded her season’s first double-double but it wasn’t enough as Austin Peay State University women’s basketball team dropped a 99-69 decision to Mississippi, Monday afternoon, at Tad Smith Coliseum. Nashville, TN – Belmont University men’s basketball freshman Evan Bradds(Jamestown, Ohio) has been named OVC Freshman of the Week, the league office announced Monday. The Jamestown, Ohio native scored 15 points and grabbed four rebounds in the Bruins’ game at Indiana State Dec. 28th. The 6-6 swingman has six double figure scoring games on the season, including five of his last six outings. 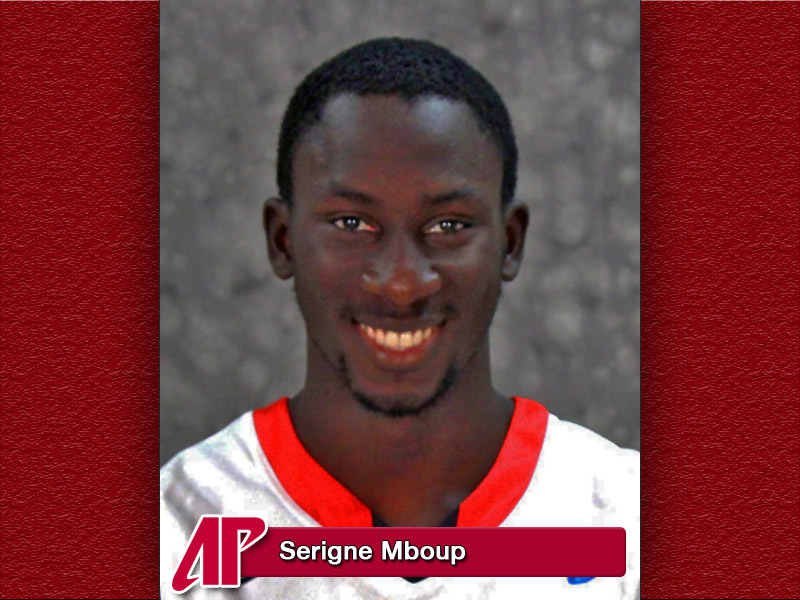 Clarksville, TN – If there was ever an example of hard work paying off, Austin Peay State University men’s basketball player Serigne Mboup maybe the best illustration of that point the past couple of weeks, as the sophomore forward/center has stepped up his game as the Ohio Valley Conference part of the Governors schedule looms on the horizon. Mboup, a native of Dakar, Senegal, had a slow start to his season for the Govs through their first 10 games of the season working his way up the team’s depth chart. 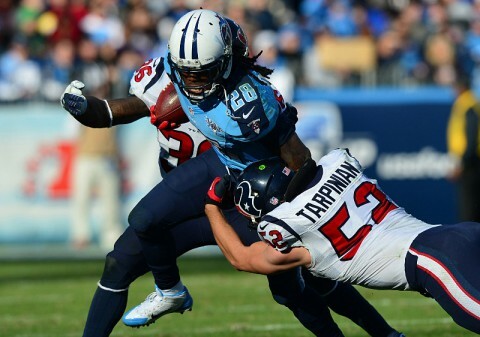 Nashville, TN – The Tennessee Titans (7-9) beat the Houston Texans (2-14) 16-10 Sunday at LP Field. Down by six with 1:06 remaining, Houston had the ball on their own 9 yard line. On the first play of the drive, Matt Schaub’s pass to wide receiver Keshawn Martin is intercepted by Titan’s safety Michael Griffin at the Houston 39 yard line sealing the win for Tennessee. Houston started the game by taking their opening drive 63 yards for a touchdown. The drive was capped off by 3 yard touchdown run by Jonathan Grimes. It was Grimes’ first NFL touchdown of his career.